Sawaddee Peemai (Happy New Year) 2018, also known as the year 2561 in Thailand! People like to think about things they want to do better in the new year (resolutions, anyone? ), but I want to encourage you to think about things you've accomplished in the past year as well. Make sure you give yourself the acknowledgement and pride that you deserve! Some of you may already know that 2018 marked a big change in my personal life...I got married!! (See my instagram for a couple of photos). The wedding was in Bangkok, and it was a bilingual "fusion" wedding with components of Thai, Chinese and Western traditions combined, since our lives are basically a mashup of these 3 cultures! My husband, Craig, has actually been quietly involved in Hot Thai Kitchen and Pai's Kitchen from almost the beginning. He's the man behind pretty much all of the design work including my logo and my cookbook! I Have a Pinterest Page! In case you missed the previous memo, I now have a Pinterest page! if you're a Pinner, don't forget to follow and share my pins! Don't Forget About YouTube Playlists. One of the most underutilized functions on YouTube is playlists. I have tonssss of playlists that organize my recipes into various categories, so if you're looking for noodle soups, no need to search the whole site, there is a playlist for that! check out my playlists here. I've filmed several videos during my travels in Dubai and Osaka sharing some delicious foods that I experienced (nothing from Thailand this trip, sorry, was so busy with the wedding!). 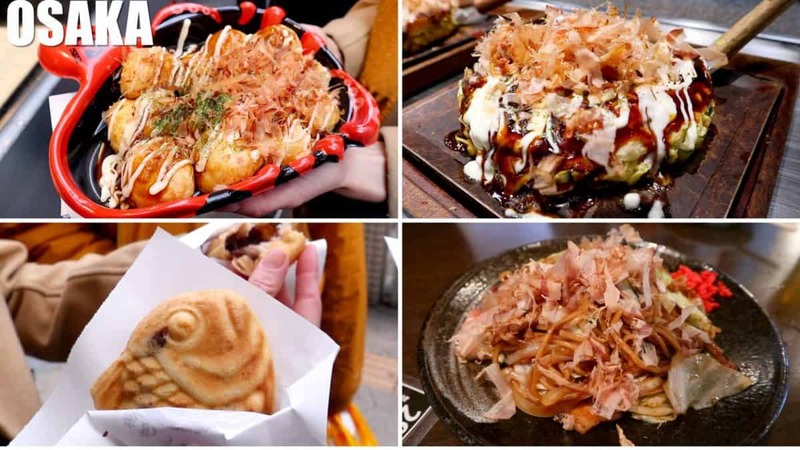 These 4 photos below are the 4 "yaki" that I had in Osaka: Takoyaki, okonomiyaki, taiyaki, and yakisoba! All yakilicious! CLICK HERE FOR MY FOOD TRAVEL VIDEOS. 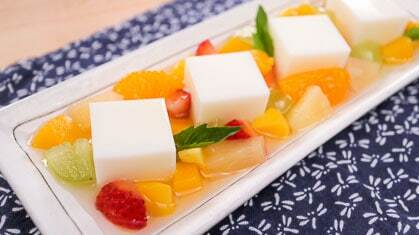 This dessert was my childhood obsession! Here I share a more sophisticated version with you. Get recipe. Great things happen when you combine two of the most popular Thai dishes into one! 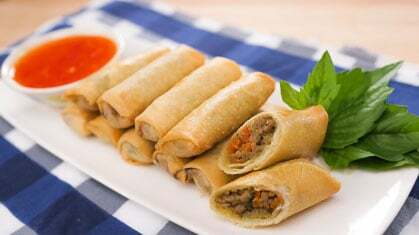 Crispy spring rolls filled with that familiar flavour of Thai green curry we all love! The perfect party appetizer! Get recipe. 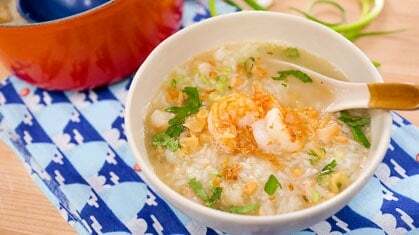 Kao Tom is a classic, popular breakfast in Thailand that is so comforting and easy to make too! Get recipe. 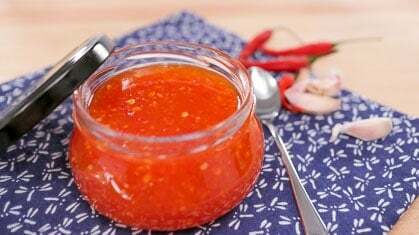 This sweet and sour chili sauce has permeated just about every grocery store in North America! You'll be happy to know that it is so simple to make, and it tastes better when you make it! Get recipe. 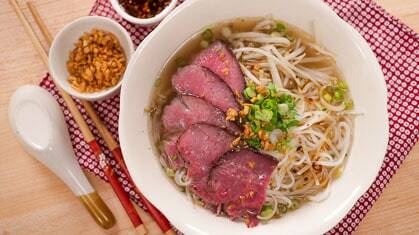 Following up on my previous episode where I showed you a fool-proof way to make a beautiful roast beef, here's a classic Thai beef noodle soup that is the perfect way to use up any leftovers! 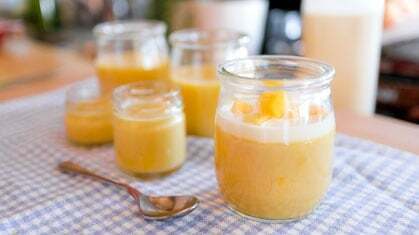 Mango Pudding - SO GOOD!! Simple fruity dessert that is a classic at Dim Sum restaurants, but I have to say...my version is better than any dim sum place I've been to! Don't believe me? Try it out for yourself! 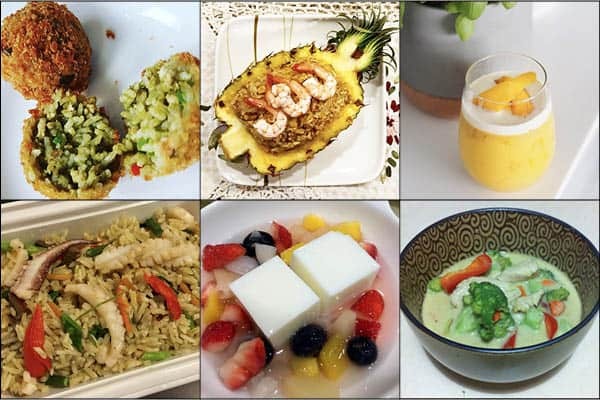 Get recipe. Cleaning Tips Feat. Clean My Space! This video is a collaboration with Melissa Maker from the YouTube channel "Clean My Space." Between the two of us, you're going to get a ton of cleaning tips to help make cleaning that kitchen so much easier! Get the tips!